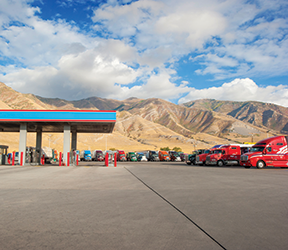 As promised, federal regulators have loosened their standards related to the off-duty, personal use of commercial motor vehicles. In a change from the past, the new standard from the Federal Motor Carrier Safety Administration (FMCSA) says drivers may use their commercial trucks and buses for personal use even if the vehicles have cargo on board. More importantly, drivers may now log “off duty” when traveling from a shipper or receiver to the nearest safe resting area, provided the only reason for the movement is to get rest. Previously, such movements had to be logged as “driving,” potentially putting the driver in violation of driving limits. The change is significant for truck drivers who are commonly forced to move their vehicles from a property after they’ve run out of hours. The “personal conveyance” provision, first issued more than 20 years ago, is not a regulation but rather official guidance for 49 CFR Sec. 395.8. Though the guidance has always generated confusion, the advent of electronic logging devices compounded the problem since the devices come equipped with a “personal use” setting. The FMCSA says its revised guidance will add clarity for motor carriers, drivers, and the enforcement community. The guidance also says motor carriers can set their own limits on personal conveyance, such as banning it entirely, adopting a limit on distance, or prohibiting personal conveyance while the CMV is laden. Under Sec. 392.3, drivers are still prohibited from driving while ill or fatigued, and drivers and motor carriers still face liability if they do not show a reasonable standard of care for public safety. The new guidance describes various scenarios in which personal conveyance (PC) is allowed or not allowed, as shown below. Traveling from a driver's en-route lodging, such as a motel or truck stop, to and from restaurants and entertainment facilities. If in a motorcoach, the only passengers who can be on board are other off-duty drivers. Commuting between the driver's residence and a terminal, a trailer drop lot, or a work site, as long as the driver is able to get enough rest to prevent fatigue. This could include, for example, a construction driver commuting home after a week spent at a job site. Traveling to “a nearby, reasonable, safe location” to get the required 8 or 10 hours of rest after loading or unloading. The resting location has to be the first one reasonably available. Moving a CMV at the request of a safety official during the driver’s off-duty time. Transporting personal property while off duty. Traveling home after working at an off-site location, if authorized by the carrier. Moving a CMV “to enhance the operational readiness of a motor carrier.” For example, skipping a nearby rest area in order to get closer to the next loading or unloading point or other scheduled work destination. After delivering a trailer and the towing vehicle no longer meets the definition of a CMV, the driver returns to the point of origin under the direction of the motor carrier to pick up another trailer. Continuing a CMV trip in interstate commerce in order to fulfill a business purpose, including bobtailing or operating with an empty trailer in order to retrieve another load, or repositioning a CMV (tractor or trailer) at the direction of the motor carrier. Driving a passenger-carrying CMV while passenger(s) are on board, except for off-duty drivers who are traveling to a common destination of their own choice. Transporting a CMV to a facility for maintenance. Driving somewhere to get required rest after being placed out of service for exceeding the hours-of-service limits, unless directed by an enforcement officer at the scene. Traveling to a motor carrier’s terminal from a shipper or receiver after loading or unloading. Driving a motorcoach when luggage is stowed, the passengers have disembarked, and the driver has been directed to deliver the luggage. The Motor Carrier Safety Report newsletter keeps you current on federal and state compliance information that impacts your drivers, trucks, and bottom line. Click here to sample this newsletter for free.